If you are looking for something fun to do with the kids this weekend, come to the PAC and support the CSH high school kids performing in the musical “Mary Poppins”. Performances will be tonight and Saturday 2/4 @7PM and Sunday 2/5 @2PM. You may purchase your tickets at the door or online at showtix4u.com Regular admission is $15 but West Side students pay $10. The amount of talented performers in the cast and the orchestra pit is astounding and you should not miss this show! Please see flyer attached. We look forward to seeing everyone at our next PTG meeting on Monday, Feb. 6th @9:30am. Representatives of the FOCUS group will inform us of their plans for the upcoming months. A few of the 3rd graders will present examples of their persuasive writing. Visit our website http://www.wssptg.com to review January’s minutes and the agenda for our upcoming meeting. Looking forward to seeing you all at the meeting on Monday morning and at Movie Night on Friday 2/10! If your child is struggling with time management, organization, working memory and/or task initiation, we have strategies you can implement in your home to help them improve. In this workshop you will learn what study and executive functioning skills are crucial to academic success at all levels. Please see flyer attached. On Wednesday, February 8th at 7:00 PM, East Woods School (31 Yellow Cote Rd, Oyster Bay) is hosting a screening of “Screenagers”, a documentary that depicts struggles families face over social media, video games and Internet addiction. This movie is open to 5th grade and above and will include a panel discussion. Reservations are requested via goo.gl/EdKvY2 Please see flyer attached. 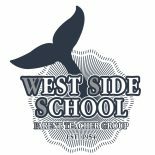 WSS Movie Night- Please join us for West Side School’s movie night on Friday, February 10, 2017 at 5 p.m. We will be showing “Finding Dory” Enjoy pizza🍕 and popcorn🍿while you watch a great movie with your friends. Dress in PJ’s and don’t forget your pillow! This event is for WSS students and their siblings only. Parental supervision is required for all attending-No Drops Offs Please. All WSS students will have a chance to win a raffle prize. Students must be in attendance in order to be eligible to win a prize. Any questions, please contact Rita McCarey at rmccarey@gmail.com. See you at the movie! Save the Date:The CSHHS Literary Luncheon will be on Wednesday, March 29th at the Huntington Country Club. We will feature Long Island author Regina Calcaterra and her best-selling memoir, ‘Etched in Sand’. We are hoping to encourage members of the community to start reading now and to Save the Date! Please see flyer attached. SIT-The School Improvement Team is looking for parents and grandparents who have immigrated to the United States to be interviewed by our students. What a great way for our West Siders to learn! With Immigration Day planned for June, we would like to capture these stories to enhance the already incredible experience. If you are interested, please contact the main office. Yearbook:Get your pictures in the yearbook!-The Yearbook Staff invites students and parents to submit photos for the yearbook. If you’ve got great photos of school and community events or you and your friends just having fun, we’d like to see them. Our photographers can’t be everywhere. Help us get as many photos as possible to create a terrific book everyone will want to have. It’s that easy! Submit your photos today! The last day to submit photos is 04/15/2017. This entry was posted on February 3, 2017 by wssptg in Brief.